The notion of international humanitarian law as a tool of legal repression is broader than the laws of war, and the question arises whether incremental change is sufficient, or whether our vision should include other very significant areas of human suffering and harm. I would like to at least raise the question whether we do not need, at the current stage of the world’s civilization, to complete norms addressing other aspects of international humanitarian law, including crimes against humanity and crimes against peace. 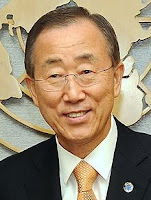 When the Security Council established the International Criminal Tribunal for the former Yugoslavia in 1993, it granted the ICTY statutory power to prosecute persons responsible for “serious violations of international humanitarian law,” including not only war crimes, but genocide and crimes against humanity. Building upon the Nuremberg Charter itself, the Kampala amendments to the ICC Statute added to this trio of crimes the crime of aggression – albeit not until 2017 at the earliest and only as regards States agreeing to its inclusion. Thus, it may be useful to expand our vision to consider how these areas of international humanitarian law may be in need of development as well, and how their development might assist with the critical goals of prevention and compliance enhancement. With respect to crimes against humanity, that crime, so important at Nuremberg and vital to the work of the ad hoc international criminal tribunals and the ICC, has never been made the object of a comprehensive international codification. Having been “de-linked” from armed conflict by the judgment of the ICTY in the Tadić case, as well as in the negotiations that resulted in its inclusion as article 7 of the Rome Statute for the ICC, crimes against humanity enhance international humanitarian law’s effectiveness by criminalizing widespread or systematic attacks upon civilians even prior to the onset of armed conflict. In the work of the ICC, we see the importance of crimes against humanity not only as parallel charges during times of armed conflict, a in the Katanga and Bemba cases, but as the only source of law applicable in the charges brought in the Libya and Kenya situations. Crimes against humanity as a category of incrimination prohibit mass atrocities – including persecution and ethnic cleansing – that take place prior to, during or even following an armed conflict. In the fac e of states’ failure of to take up codification of crimes against humanity, a group of distinguished experts working under the auspices of the Harris Institute at Washington University recently drafted a proposed international convention for the prevention and punishment of crimes against humanity. (logo credit) But no state has yet taken up the challenge of spearheading an effort to get such a convention adopted. In A Memory of Solferino (1862), Henry Dunant wrote of the terrible suffering of soldiers, which was a catalyst for the ICRC’s founding in Geneva. For that great battle of 1859 between Austria, on the one hand, and France and Sardinia, on the other, left 6,000 soldiers dead, with another 30,000 wounded, who were suffering from the most appalling injuries. Crimes against humanity protect civilian populations from the depredations of war or other widespread or systematic human rights abuses; but it is the crime of aggression that protects combatants, who may otherwise be made the lawful target of military operations. While the laws of war endeavor to protect them from unnecessary suffering, they cannot save them from death. Think of the chilling example, given by Judge Stephen Schwebel in the Nuclear Weapons Advisory Opinion (International Court of Justice 1995), that a lawful use of a nuclear weapon would include targeting – and thereby incinerating – an army in a desert. Less dramatically, the recent incident between North and South Korea resulted in the death of 46 sailors. The ICRC, of course, is bound by its mandates of confidentiality and neutrality not to take sides, and labeling a particular use of force “unlawful” inevitably results in a legal assessment that one side (at least) was improper in its resort to violence. So perhaps it is preferable, in the imperfect world in which we live, to focus upon making conflicts more humane and civilized rather than attempting to distinguish between lawful and unlawful uses of force. Certainly, Clara Barton thought so. It is true that unlike the codification of crimes against humanity or war crimes, the codification of the crime of aggression comes closer to outlawing violence altogether, rather than simply mitigating its more pernicious forms. Yet in a post-Hiroshima age, there is perhaps more urgency in addressing not only the byproducts of war, but war itself. 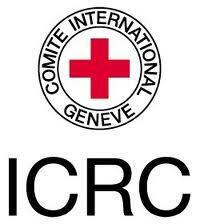 This burden must perhaps be taken up by other entities than the ICRC; but it represents a great unfinished work of humanity. Finally, given the venue of today’s lecture, it is perhaps appropriate to comment upon one additional aspect of today’s Grotius Lecture, and that is the role of major powers such as the United States in complying with their obligations under international humanitarian law. 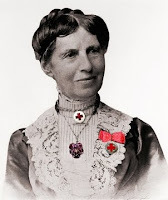 As we learn from Clara Barton’s writings in 1898, the entry of the United States into the Geneva Convention of 1864 was not easily accomplished. President James A. Garfield supported the treaty, but noted the difficulties of convincing the Senate to do the same. Clara was not a well woman, and yet she committed herself to bringing the United States on board, so passionately did she believe in the principles of Geneva. She advocated for the treaty before Congress and finally, in 1882, the United States acceded to the treaty, making it the 32nd country to do so. Perhaps it is comforting to know that what seems to be a phenomenon of modern politics and resistance to international law in the United States is instead a venerable American tradition -- and that plus ça change, plus ça reste pareil (the more things change, the more they stay the same). But just as the impassioned advocacy and dedication of Miss Clara Barton helped to convince a reluctant Congress of the importance of the 1864 Convention, I am sure that the eloquent remarks of Dr. Kellenberger before this important gathering of international lawyers will be of great effect. But vision alone is not enough. The same could be said by and about the ICRC, for whose tireless and quiet work on behalf of humanity we must indeed be most grateful.